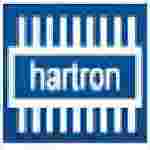 Haryana HARTRON Programmer recruitment 2016-17 notification apply online : HARTRON limited welcomes application for the position of junior programmer vacancies in various state government departments / boards / corporation for deployment in Chandigarh and district level in Haryana. Candidates who completed their PGDVA, PDCA, PGDIT, MCA, M.Sc., BCA, B.Sc., Diploma is a good opportunity.The individuals who are the occupation seekers searching for govt employments in Haryana this is the best chance to apply. Competitors read the official notification then read all the guidelines and miners precisely then apply before the last date online application got. All the interested and eligible candidates can apply before 22nd August 2016. Candidates Age Limit: The age of the candidate will be according to rules and regulation of HARTON organization. Academic Qualification Details: Candidates should have PGDCA / PDCA / PGDIT / APGDCA / MCA / M.Sc. / BCA / B.Sc. in computer science / IT / 3 year diploma in computer application / IT from SBTE / university / A level course from DOE with minimum 55% marks and having knowledge of software Dev in limited company. Details of Fee particulars: All the interested and eligible candidates are need to pay application fee Rs 100/- through demand draft in the favor of HARTRON informatics limited payable at Chandigarh. Process of applying for the job: Candidates may apply in prescribed application form along with two recent passport size photograph send to the HARTRON Bhawan, Bays no 73 – 76, sector – 2, Panchkula (II), Hartron approved work – station, #1, opposite K.M publix school, hansi road, Bhiwani (ii), Harteon approved workstation, H no 299/1, sanjay colony, new railway road, new Sheetla hospital, Gurgaon (IV), Hartron Approved workstation, SCO 364, 2nd floor, vikas tower, Mugal canal market, karnal on or before 22nd August 2016.